There are a few things you have to see and do when you visit Sydney. 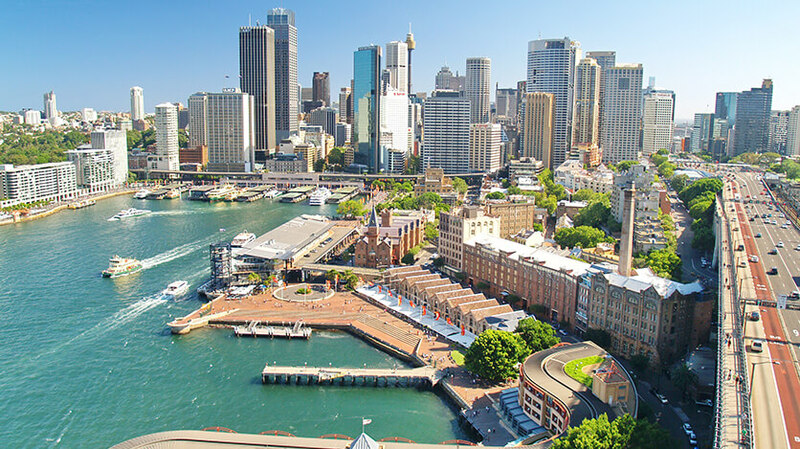 Sydney Harbour is one of the most breath-taking natural harbours in the world, and there are plenty of ways to enjoy it and take in the views. You can go kayaking around the Sydney Harbour Bridge, sail a yacht or take a ferry. Darling Harbour is also worth a visit with all its attractions, bars and restaurants. To see some of the best panoramic views of the city book a table at the Sydney Tower Restaurant which is located at the top of the tallest building in Sydney. Sydney Opera House is also a major attraction. Take some amazing pictures from outside, go on a behind-the-scenes tour or book to see the opera during your stay. If you want to find some green space away from the hustle and bustle of the city then head to the Royal Botanic Gardens or The Chinese Gardens of Friendship. You won’t want to miss out on the fantastic beaches around Sydney, there’s a total of 40 to choose from. Hit the waves at the world famous Bondi beach or head to one of the sheltered harbour beaches with calmer waters if you are travelling with kids. At Bondi beach you can shop, go on coastal walks, surf or even catch a film at the open air cinema. There’s also plenty on offer for wildlife enthusiasts and attractions for all the family. Choose from wildlife attractions such as Taronga Zoo, Royal National Park, the Aquarium and Wildlife World at Darling Harbour.